Next generation living. That was the vision for the new home development at 4443 Bell in Kansas City’s historic midtown area. This urban infill project in collaboration with Soigné Properties took a number of very specific considerations into account during the planning and design process. Within a dense urban environment, this two-dwelling unit created full-amenity flats with sustainable features including groundsource heat pumps and a passive solar floor plan. 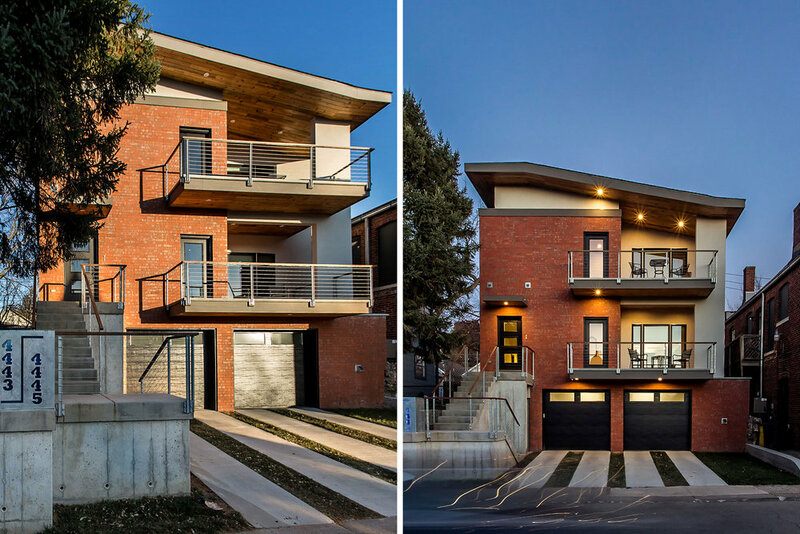 By creating a contextural hybrid of materials, including brick and siding, the residence blends effortlessly into the existing neighborhood, forming a seamless connection between the commercial building to the south and residential buildings to the north.